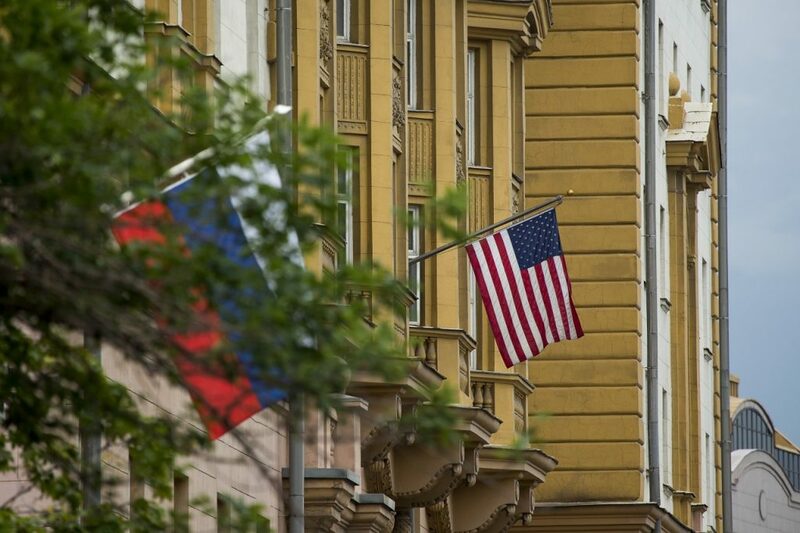 Moscow has ordered the US to cut 755 diplomatic and technical staff in Russia by 1 September, responding to newly imposed American sanctions. As a result of the Kremlin’s measure, mostly local Russian hires are to be dismissed, leaving US diplomatic presence relatively undamaged. Nonetheless, the decimation of resources makes it harder practically for the countries to salvage their decaying relationship. Citing the Kremlin’s actions in Syria, Ukraine and alleged interference in last year’s presidential election, Congress enshrined Obama-era sanctions against Russia in the law last week, including asset freezes and travel bans for individuals and organisations connected to President Vladimir Putin. The White House says President Trump, who has often called for decreased tensions, will sign the bill into law. Overwhelming bipartisan support for the bill would not only override a presidential veto, but also portray Mr Trump as a Moscow-sympathiser. With Congress increasingly forcing the president’s hand on Russia, Mr Trump will have little choice but comply.